Texts by Wim Beeren and M.B. One of the first surveys of Broodthaers oeuvre, with reproductions of lesser known works compared to what his signature “oeuvre” has become. 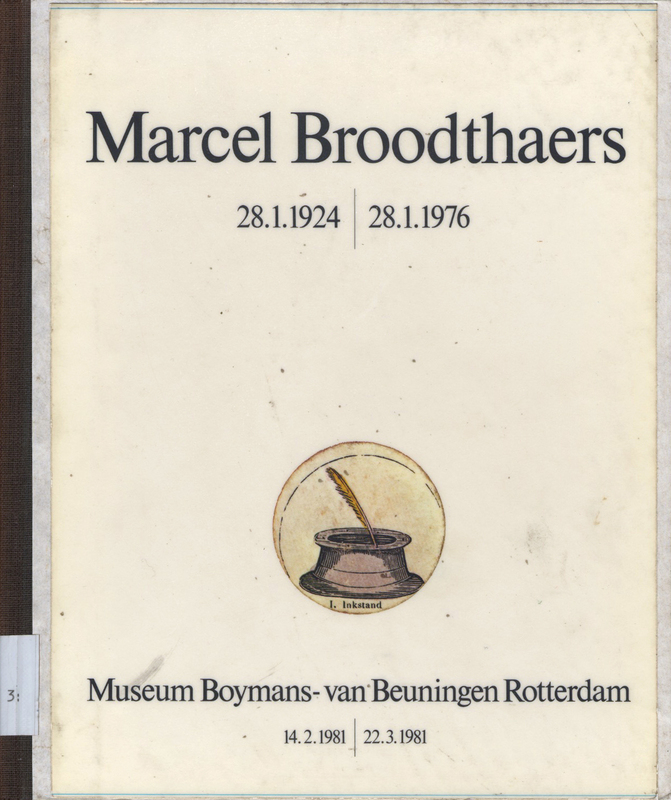 Ex libris of the Pädagogischen Hochschule in Freiburg, Germany, were the students appear to have had little or no interest in Broodthaers because the catalogue’s pages look as if they have never been touched. Includes a rare “imaginary interview” between the artist and Rene Magritte. Rotterdam: Museum Boymans-van Beuningen, 1981.